Hi everyone! 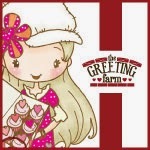 Thank you so much for joining us in The Greeting Farm's OCTOBER Release. We are really excited about Anya coming home for the holidays (for the 3rd time! ), Dante's super cool look, and the Western Cuties made themselves RIGHT at home on the Farm! Which one is your favorite this month? I know, I know, it's always hard for us to choose too. The Releases are NOW AVAILABLE in the TGF Store, but as always our awesome DT has lots of eye candy you and there's a chance to WIN the entire release for hopping with us! Just leave your comments by 11:30pm CST to enter to win and the winner will be announced tomorrow over at the TGF Blog. Here is my card using You're Wanted. I used both images and the "Yee-Haw!" sentiment in the set. It's a cowgirl party! They are so cute in their cowgirl hats. Their outfits are paper pieced and the rest is colored with my Copics. I added some sparkle accents with Xmas Red and Yellow Stickles. 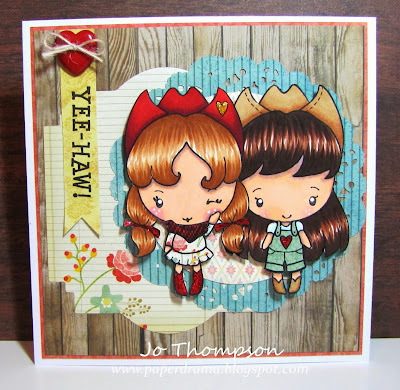 This stamp set can be used for so many things, a western cowboy/girl party theme, a Halloween party dressed up as a cowgirl and so on. It's a Halloween Party! 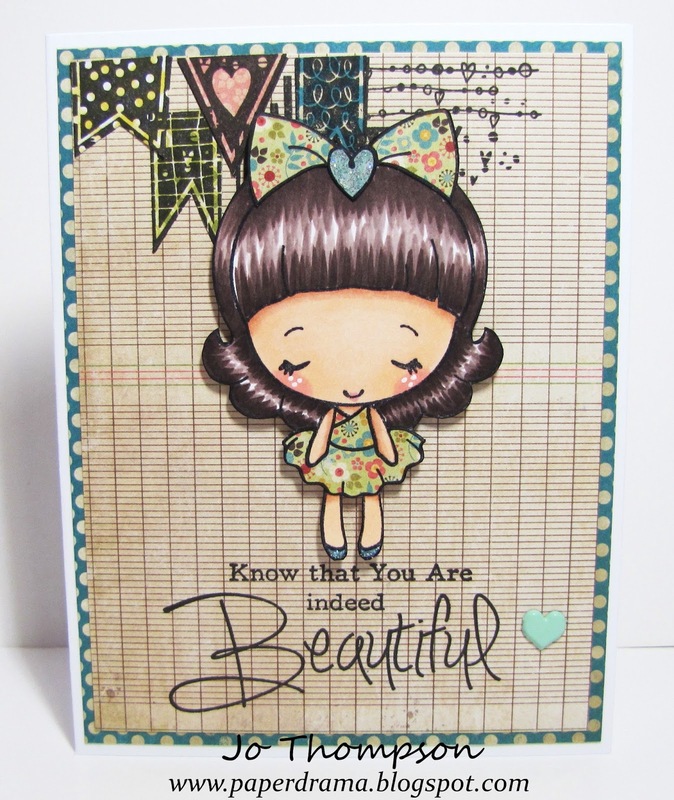 for my last DT project for MyStyleStamps. I wanted to create a card that showcased all the characters from July-Sept (my DT Term). So this is what I came up with, it's a side step card. This card took me ages to complete, well just a couple of hours, plus I was cropping with family so I may have been a bit distracted. I used all the girls from the MSS stamp sets that I received for my 3 month term. They were already in "costume" so why not have a Halloween party. All the images were colored with my Copics, boy did that take a while. I did a lot in this card, so you can watch my video here where I explain all the details. I had such an amazing time with Nicole's (the owner) stamps. They were truly a joy to work with. I hope you continue to show her your love and support over at her blog & store. 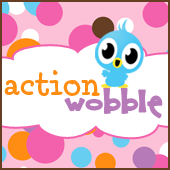 'Til next time (tomorrow - 2 Blog Hops), Happy Crafting! Hi everyone! Welcome to DAY 1 of OCTOBER PREVIEWS over at The Greeting Farm. The first release features a new Anya: HOLIDAY ANYA 3. Christmas is fast approaching, don't be scared. Isn't she adorable in her warm scarf and hand muff. I created two card for you today. I kept her in classic holiday colors of Red & Green. Both images on the cards are colored using my Copics. 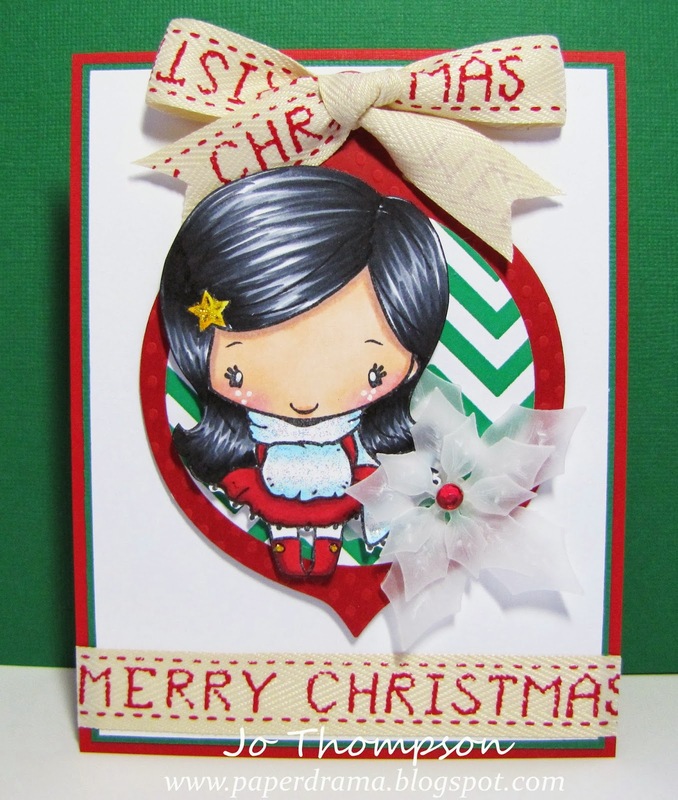 She is laid on top of a Christmas ornament die cut and I cut out a poinsettia die cut flower made of vellum. I went with Blue & Red colors this time. For a more winter season theme. So there are my two cards showcasing the new Holiday Anya 3 stamp that will be released on October 1st. She will definitely adorn many Christmas cards this year. 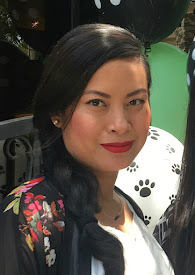 Thanks for stopping by and I hope you check out the DT creations using this gal and also stay tuned over at the TGF Blog for two more days of October Releases. The image I'm using is Fleur Anya. She is colored with my Copics and all glittered up with Star Dust Stickles. I framed her out with my Spellbinders Doily die and added some I Am Roses flowers (3/4" & 1/4") on the corner. I die cut some letters to spell out Aloha. I didn't have the raspberry/pink color CS, so I used my Copic RV19 to color some cardstock, then I die cut the letters from that. This color combo was fun to play with, I hope you can take the time to play with us over at the TGF Blog. Happy Friday! 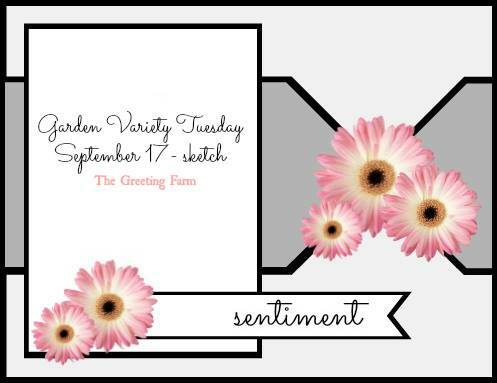 October Previews begin next week for The Greeting Farm, but first this is the last Farm Fresh Friday for the month of September. The theme today is Paper Piecing. I love paper piecing, it's faster than coloring and you can use scraps. Here is my card for you, using the Royal Cutie Pies & Dreamy Kit. I didn't do too much on this card, I just laid a base of designer paper that is matted. I stamped the banner, paper pieced it and stamped the sentiment on the bottom. The girl image is colored with my Copics and her dress/bow are paper pieced. The only embellishment I added was a small heart brad and some Stickled on her shoes and the heart on the bow. That's it. 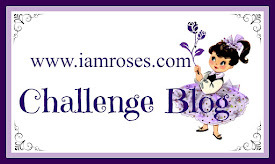 Come join in on this challenge over at the TGF Blog. Happy Halloween! Well not yet, but I wanted to share this card with you guys. 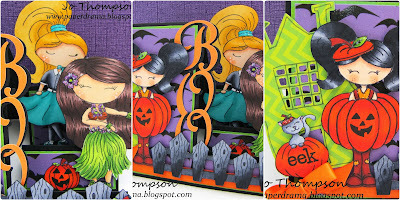 This is Card #3 using the Little Pumpkin set from MySytleStamps. It is now available. I tried creating a little trick or treat scene on this card. I used all of the images that I could color in the stamp set and got a bit creative to create a larger pumpkin. I wanted to have a peek-a-boo window on this card, so I used a circle cutter in the center. I cut the designer papers accordingly to fit that cut out. I busted out an old die of my from LifeStyle Crafts (formerly QuickKutz) that contained a haunted house and a cloud shape. Most of the images are popped up on dimensional pop dots, I can't not pop something up. I used my Copics for all the colored images. I've been using the same color combo for all the pumpkins for all my cards, it's time for me to buy refills. I created a video explaining the whole card process and how I created the above large pumpkin. Can you guess how I did it?? Watch the video here. 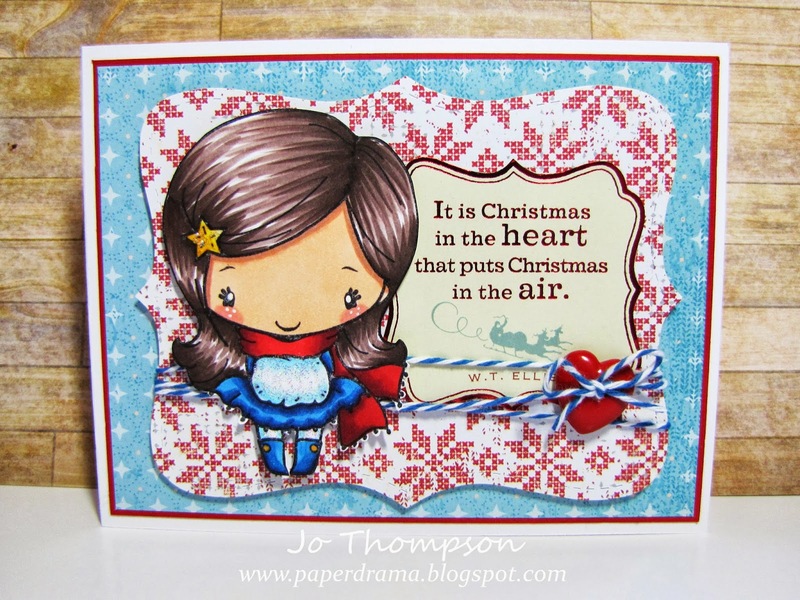 My term with MyStyleStamps comes to an end this September, so I will be having one more card for you next week. I'm really excited to show you this last card, still in the works, the idea is in my head, hopefully it comes out the way I picture it LOL. Stay tuned! I love sketches, they make it so easy to create a card, just follow the sketch and you're done. Some people use sketches as a guide and change things up a bit but I usually stay the course and follow it verbatim. Here is my card using Picture Perfect. I colored the girl image with my Copics, I kept her black & white, focusing the color on the camera. The camera is covered in Star Dust Stickles and I used Glossy Accents on the lenses and drew shine marks with my white gel pen. All the flowers are from I Am Roses. The Smile sentiment is from Delicate Words Die. I didn't have matching cardstock for that chartreuse green color, so I combined two Copic colors and colored on white cardstock, then I cut the die from that. Give this sketch a try and enter your project over at the TGF Blog. Have a great day! 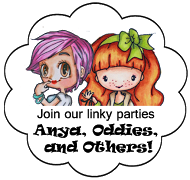 Hey guys, this is my Card #2 from the stamp set Little Pumpkin by MyStyleStamps. 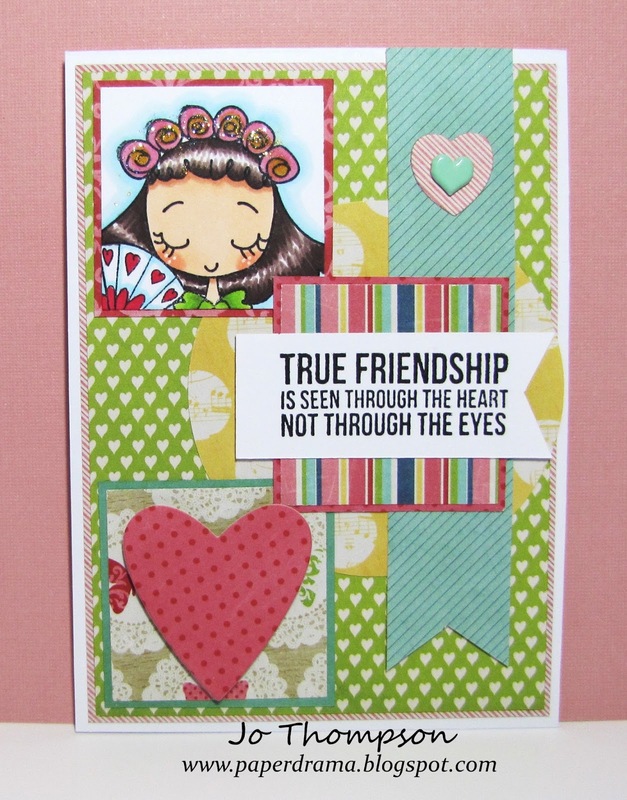 I wanted to create a simple card using just the small images and sentiments from the stamp set. My previous card used all the images that can be colored and required a lot of fussy cutting. In this card, I used two of the leaf images and two of the word sentiments. For the background, I used a wood grain image on kraft paper, trimmed it a bit and then laid it on top of my kraft card base. Using a 3" circle punch, I just punched some green pattern paper. Layered above that on dimensional pop dots is the Onesie Die from TGF. I decorated the onesie with some dash lines, orange twine and two small brown brads as the buttons. I stamped the little leaves from the stamp set with a brown and orange ink. The word "little" is from the set, and "pumpkin" is half the sentiment of "to my pumpkin", I just inked up the word that I wanted to use. So that is my card. I hope you enjoyed it. I wanted to show you another type of card that you can make that doesn't require you to have to spend time coloring images and making a big production out of it. This stamp set "Little Pumpkin" is scheduled to release September 18th, keep your eye out at the MyStylesStamp Blog or Zibbet Store. Woohoo it's Friday! Let's start the weekend with the Farm Fresh Friday Challenge over at The Greeting Farm. Today's title is "Hip to be Square", use three squares any way you want. Here's my card and I used three 1 3/4" squares. The image from TGF is Frou Frou Fabulous. 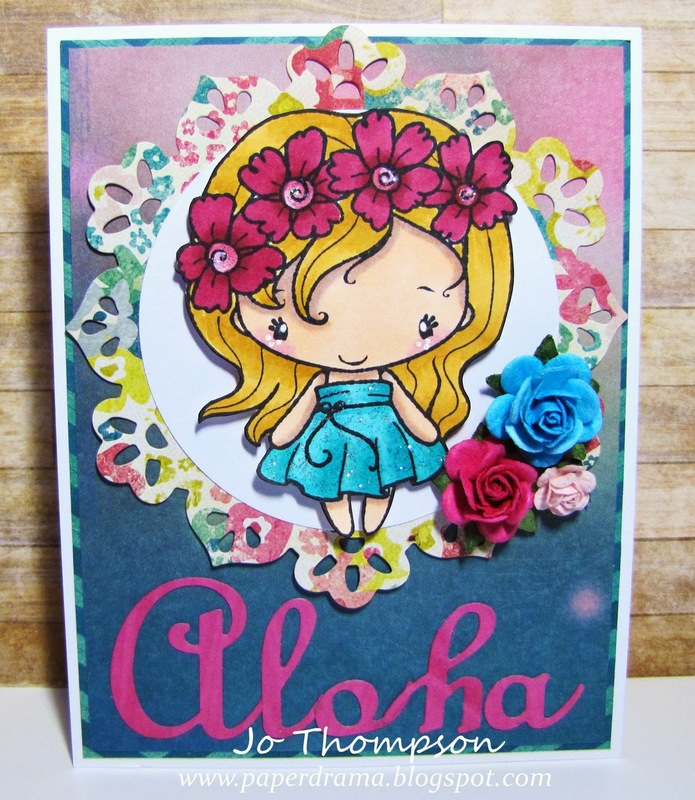 I thought the sentiment that I used from KaiserCraft went perfect with the image because her eyes are closed. 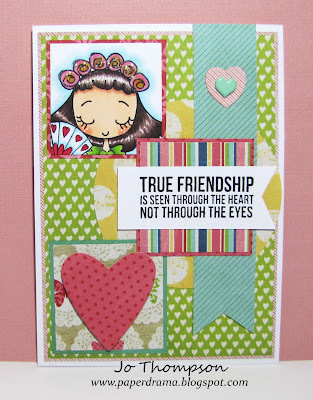 The large heart die on the card is from the Film & Polaroid Die set. I like shape challenges, it gives me a chance to use my punches. Come play along with us over at the TGF Blog and enter a chance to win a TGF image. Hello it's me again, wow three days in a row! 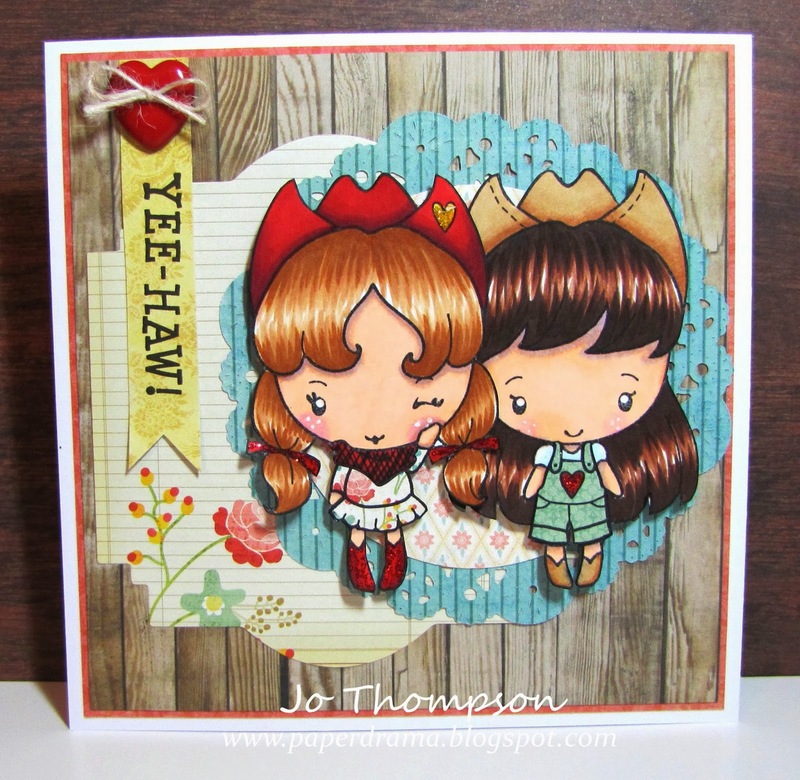 Well today's card share is for the Retro Fresh Challenge over at The Greeting Farm. The theme is Autumn Colors. I am using Anya Blooms, which was released in March, so it does qualify for the 6 months or older requirement. Can you believe it, this was just released this year?! Time flies. She is colored with my Copics and I added some shimmer accents with a Gelly Roll Clear Star Pen. I fussy cut her out and placed her on dimensional pop dots. I used my new dies from MFT, Leafy Flourish Die and the First Place Ribbon Die. The "Happy Fall" sentiment matched perfectly with this challenge's theme. 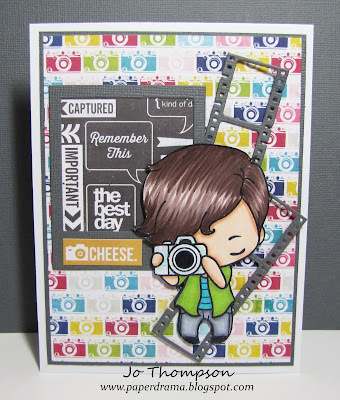 Take out your older TGF stamps and play along with this month's Retro Fresh Challenge over at the TGF Blog! Hi everyone! I also want to welcome my new followers on my blog. Thank you for taking the time to see what crafty things I'm up to. Now on to this week's Garden Variety Tuesday Challenge - Textures over at The Greeting Farm. 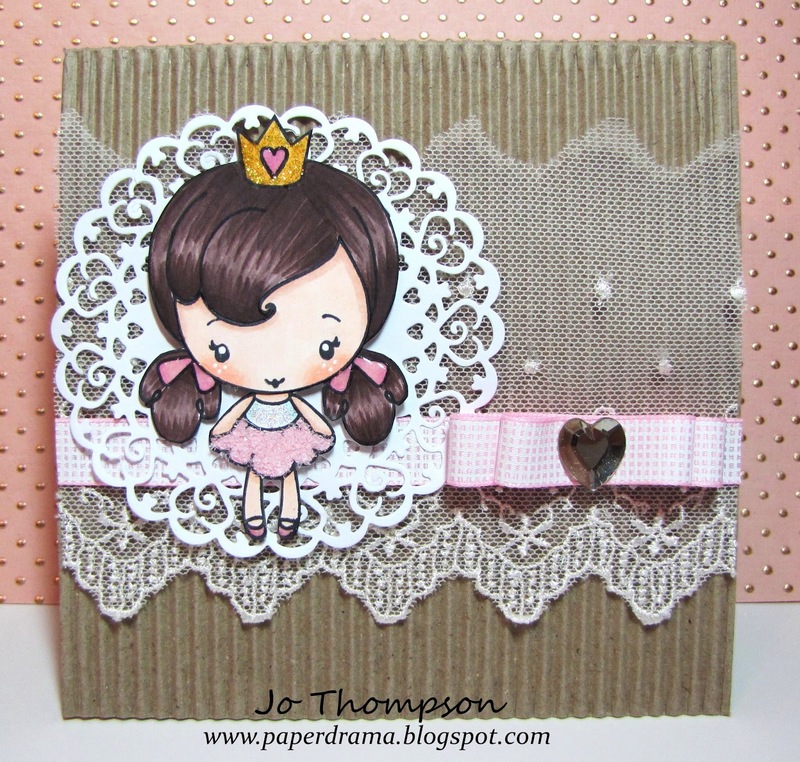 Here is my card using Royal Cutie Pies. This set comes with two girl images, I used the other one on this post here. I tried to include as many textures as possible on this card. First let's start off with the base of the card, it's corrugated. To make this more feminine, I added a layer of lace trim and a doily cut out. The pink ribbon has a printed grid pattern and I added a heart rhinestone for bling. The image itself has many textures. Her crown is covered with Yellow Stickles and her top is covered with Star Dust Stickles. I used Glossy accents on the heart of the crown, as well has her ribbons on her hair and shoes. Her cute pink skirt was first layered with Glossy Accents and then covered with Diamond Dust (a chunky type of glitter). There were so many components on this card, I hope that it all flows together. Now you don't have to go all crazy like me on this challenge, just do what feels right to you. Come join this challenge over at the TGF Blog! Happy Monday, I wanted to share with you my "Happy Fall" card from MyStyleStamps. All the images are from the new Little Pumpkin Set. 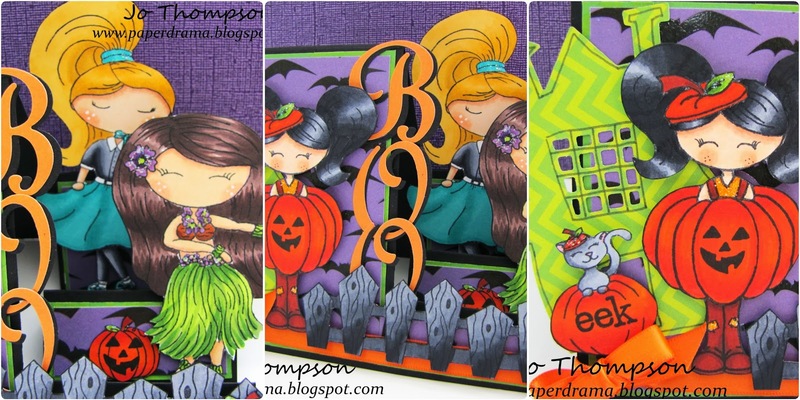 This set also comes with Halloween themed images/sentiments but I went for the Fall theme first. I colored all the images with my Copics and fussy cut them out. The images are the fence, the cat/pumpkin, the small pumpkin and the girl in the pumpkin costume. I placed all of them in a cluster at the center of the card. Underneath the "Happy Fall" sentiment, I layered several leaf die cuts from scraps. This stamp set has so many possibilities and I can't wait to play around with it some more. This stamp set is going to be available September 18th, keep up to date over at the MyStyleStamps Blog or at the Zibbet Store. Here's my video for the card. Thanks for stopping by! Hello you happy people! It's Farm Fresh Friday over at The Greeting Farm. "Picture This" is today's challenge theme. Here is my card using the Picture Perfect Set. There are two character images, I used the boy. He is colored with my Copic markers, also I usually use Neenah 80lb paper to color on but I switched it up and am using Gina K Designs 110lb paper this time. It's a much thicker cardstock that allows the color to not get absorbed quickly, which I think it makes it easier to blend in my opinion. I still love Neenah paper but am falling back in love again with Gina K.
The die cuts in the background are made from the Film & Polaroid Set. I only added some Stickles to the camera. Thanks for stopping by. Join us on this challenge over at the TGF Blog and have a fabulous weekend! Happy Birthday! To who? Anyone and everyone. This month's theme over at the I Am Roses Challenge Blog is "Birthday Fun" and it's also a Color Challenge, Yellow. I created these "Mini Birthday Hat Place Settings". Hehehe that's a mouthful. I've been doing so many cards lately, I wanted to actually create something else. This is a cute and fun decor for a birthday party. 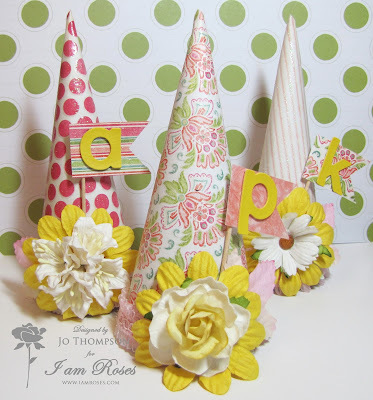 Change up the pattern paper/colors to match the party theme. The Mini Hats are constructed from one piece of a 6x6 paper that I cut and rounded off one of the corners and rolled up the sheet to make the cone shape. I chose the colors Pink & Yellow for a girly party. These measure about 6 1/2" H x 3" W. If you add some string on both sides of the base, you can easily make it into a wearable mini hat. I made a monogram banner on a toothpick and inserted it behind the flowers. These look more cute as place settings then a plain rectangular card. I used the Big Yellow Puffy Daisies as the base of the floral centerpiece and then used a variety of flowers (see links below for a list of the flowers) for the center. Changing up the centers make them more unique and different from one another. These were so fun to make and now I want to have a party and make some more LOL. Maybe I'll use these for a scrap party. Come join in on this month's IAR Color Challenge over at the IAR Challenge Blog. 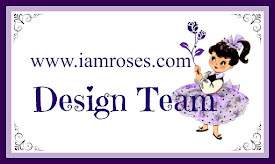 Enter to win gorgeous flowers from I Am Roses.